Barcelona offers a large number of tourist and cultural activities – but one doesn’t often think of cemeteries. Yet, these are alternatives to discover the artistic and historic values of the Catalan capital. They are open for visits and are budget-friendly –one can enter for free any of the main four cemeteries: the ones in Poblenou, Les Corts, Montjuïc and Sarrià. 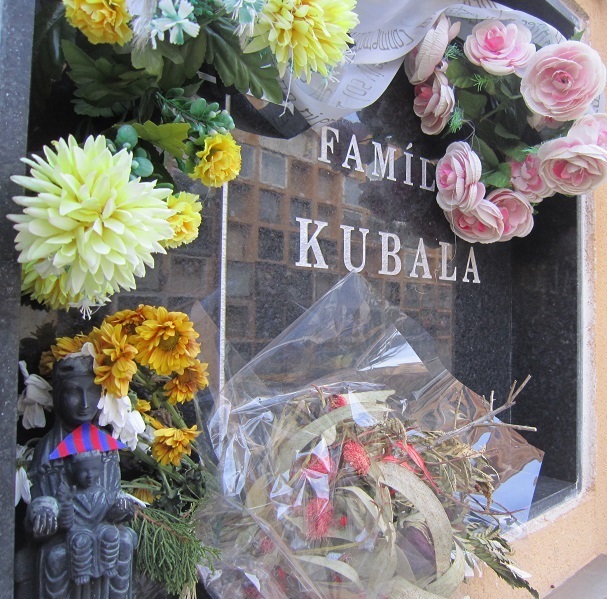 The graveyard in Poblenou can be visited by tourists at their leisure. There are famous graves and distinguished mausoleums from the 19th century, and the facilities offer personal guides to show them to visitors. There is also a mobile app that lets those interested follow their own route, showing each important stop not to miss. Over the span of an hour and a half, one can see the 30 attractions in the cemetery, bringing people closer to traditional Catalan architecture and the emblematic characters and families of Barcelona. The first stop at the Poblenou Cemetery is the entrance. Here is its story: in 1818, a young Italian architect called Antonio Ginesi drew up the layout of the cemetery. “He was an enlightened man with a neoclassical training, and he conceived the cemetery as a homogenous, simple space, free of pointed class differences”, explained tour guide Nick Lloyd. But before the project was finished, and at a young age, Ginesi died. The management of the project was taken over by other professionals, such as Miquel Garcia Roca, the very same behind the El Liceu opera house. “Since his successors wanted to highlight the importance of the bourgeoisie with the construction of noble mausoleums, the cemetery evolved in a different direction”. The obelisks at the front door are also worth a closer look. Created by Francesc Pagès Serratosa, one holds a cross. This is ‘Fides,’ faith. The other, standing beside an anchor is ‘Spes,’ hope. Also upon entering the cemetery one discovers “the portico,” a large horizontal structure, and an epitome of Neoclassical architecture. The first monument in the graveyard bears a grim reminder in its name: ‘The Monument to the Dead from Yellow Fever.’ This homage was built in memory of doctors, clergymen and public servants who lost their lives to the epidemic of 1821, while on duty. This was a devastating moment for the city. Indeed, “the epidemic with the highest mortality rate was yellow fever,” explained Lloyd. And it wasn’t the only one. “The city of Barcelona suffered many epidemic diseases during the nineteenth century, due to the increase of population and the worsening of hygienic conditions,” he detailed. One of the most popular tombs? ‘El Santet,’ the tomb of Francesc Canals Ambrós. But his popularity is a mystery in itself. “We do not know why nor how he became a cult figure after death. But the truth is that the popular worship of ‘the little Saint’ began immediately after his death, and continues to the present day,” explained Lloyd. The veneration is visible: devotees have built an improvised altar, bringing notes, pictures, candles and roses. The tomb of the Nadal family is a sculpture made in marble in 1868. The sculptor wanted to “portray the faintness of the dying body without any idealization,” said the tour guide. It’s also a tender homage from daughters to their deceased mother. This differs greatly, then, from the mausoleum in memory of the businessman Juan Vias Paloma. “The angels on the sides represent industry, navigation, trade and time,” revealed Lloyd. The dome was designed in a neogothic style. And it’s peculiar in that it’s not a monument to the dead: instead, it’s an exaltation of the person lost, and a reflection of his high social level in life. "The Barcelona of the 1850s was a period of romantic love, of dramatization of love and death"
Josep Anselm Clavé was a musician, poet and politician, and his tomb was erected in 1876 by popular demand. Clavé created the first choral society in Spain and promoted choral music in all Catalonia. On the gravestone are engraved the words ‘Progress, Virtue and Love,’ Anselm Clave’s leitmotiv. ordered to have them brought to this monument in his memory. the memory of the love of a wife who idolized you”. “The Barcelona of the 1850s was a period of romantic love, of dramatization of love and death. However, Barcelona at that time was also a very practical city where big fortunes were made,” explained Nick Lloyd. Amèlia de Vilanova, at a time of arranged marriages settled in the interest of the family economic convenience, “was able to marry for love even though their marital life didn’t last long”. Miriam also added that “a way to improve the initiative would be to include the participation of neighbors or other volunteers from the city, to learn a bit more about the personal story of the cemetery and the way it impacts them as neighbors”. But Poblenou is not the only cemetery in the city. Les Corts Cemetery is another, where is possible to find places full of collective memory. The guided route shows mausoleums built by famous Catalan architects of the nineteenth century like Pere Falqués. He constructed The Soldiers Pantheon, paying tribute to the soldiers who went from Barcelona to Cuba and the Philippines, to fight and died there. There also lie numerous emblematic personalities from different fields and professions. This is the case of Catalan actors such as Joan Capri, photographers like Pere Català- Roca- who dedicated his life to history and literary issues- or football players such as Ladislao Kubala, considered one of the best players of all times, and one of the most important figures of FC Barcelona. However, the cemetery with the most tombs and mausoleums is Montjuïc Cemetery –so big that, now, it’s considered an outdoors museum. Adrià Terol Hernández, who works in the communication area of the cemeteries and also as a guide, explained that there are three options for a route: the artistic, the historic, and one that combines the two. “The main objective, explained Hernández, “is to show the funerary heritage of the city and link that to Barcelona city and its evolution. The cemetery is the mirror of the city, and we can talk of different transcendental aspects of our history and culture. We also want to naturalize death, and we talk about it during the guided visit”. And, of course, there’s the Sarrià-Sant Gervasi cemetery. And on its grounds, visitors can find the illustrious of Catalan culture: for example, Carles Riba. Riba was a renowned Catalan poet, known for his translations of Latin and Greek classics into his language. 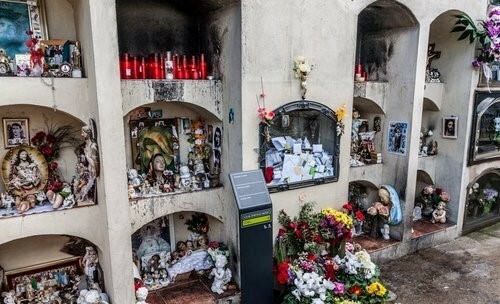 One anecdote is that this cemetery appears in some of the passages of ‘Marina’ one of the most famous novels write by Carlos Ruiz Zafón, and avid readers will be able to recognize spots. After doing this route in Barcelona, we can tell that life continues in the cemeteries thanks to the new visitors, who are alive.